Where did Honeybells come from? I’ve heard a few folk tales from local growers about the Honeybell. I thought it would be a good idea to take a look at where the Honeybell really came from. When the Honeybell was originally released, it was called a Minneola Tangelo. It was named after Minneola city in Lake County, Florida. You’ll notice that the Honeybell is a tangelo, not an orange. A tangelo is a cross between a tangerine and a grapefruit (pomelo). More specifically, the Minneola Tangelo is a cross between a Duncan Grapefruit and a Dancy tangerine. Swingle fell in love with agriculture at a young age. He started attending Kansas State Agricultural college at the age of 16. By the time he graduated, four years later, he had published 27 papers ranging from topics of plant pathology, plant breeding, and genetics. In 1891, Swingle was offered a position with the newly formed United States Department of Agriculture (USDA), on the recommendation of David Fairchild. He was so young at this point that his parents had to give their permission for him to accept the job. This was an important time in the expansion of American agriculture. Swingle was immediately sent to Florida to develop strategies to fight several new diseases affecting orange groves. This began a lifelong passion with citrus. 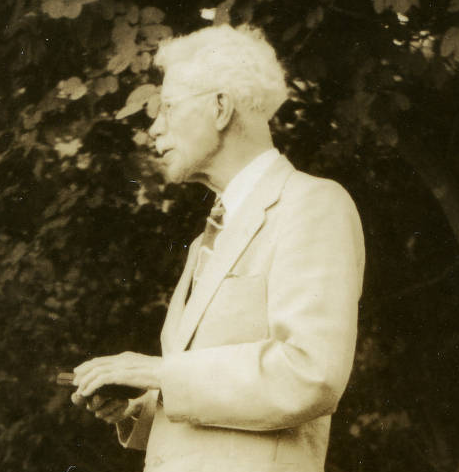 In those early days in Florida, Swingle made several new hybrids among different citrus lines, he described fungal and other citrus diseases, developed insect control measures, and even discovered a new species of palm. He began at once comprehensive and ambitious programs to breed and graft new disease- and frost-resistant citrus trees. I was able to find the original report announcing the Minneola Tangelo to the world in 1931. Below is a truly fascinating image of one of the original honeybells. You’ll notice that there are a few seeds, whereas the honeybells we know today are usually seedless. This is evidence that growers continued to perfect the Minneola after it’s initial release. The difference in season of this tángelo as compared with the Lake and Seminóle, the attractive color, good shipping quality,few-seeded character, and excellent flavor recommend this fruit for consideration and trial. Honeybell lovers around the world are thankful that Swingle and his team recommended the Minneola for trial in commercial groves! 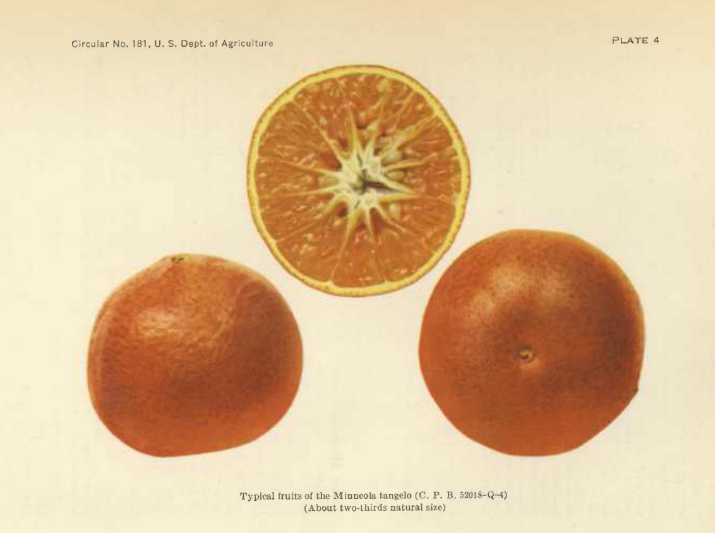 While you can tell from the report that the researchers are rather pleased with the Minneola, I doubt they had any idea that it would become the citrus superstar, and awesome gift item, that we know as the Honeybell today. Here’s the full report if you want to read more. The Honeybell description starts on page 8.